I am interested in a no obligation trial of Rentfind Inspector. 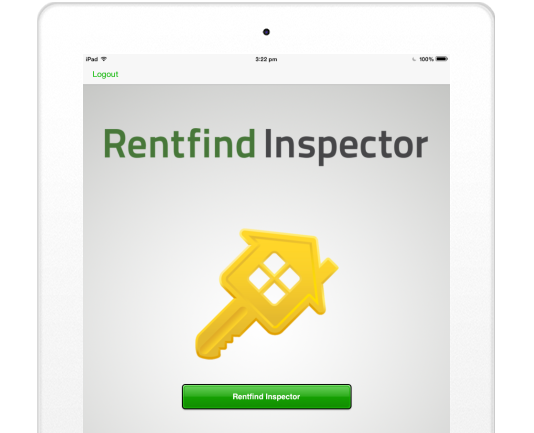 Search for the Rentfind Inspector App in your iPad App Store or on Google Play. Although the App is free, you will need to be a Rentfind Inspector subscriber to use the App effectively. Add a new property (Properties | Add Property). Add a new inspection (Inspections | Add Inspection). Note: MyDesktop subscribers can access the rental property Import Tool by clicking the "Import Rentals" link. Log into Rental Inspector on your device using your Rentfind Inspector logins and tap the "Synchronise" button. Click the "Open Report" button to open the inspection for further editing or for saving. "Release" the inspection for landlords to view within their Client Login.